Sometimes it's the simple things, right? I think so. 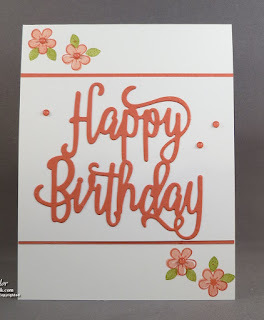 I received a card that used this layout but in different colors from my demonstrator stamping group I'm a part of. I loved the simplicity of the card. 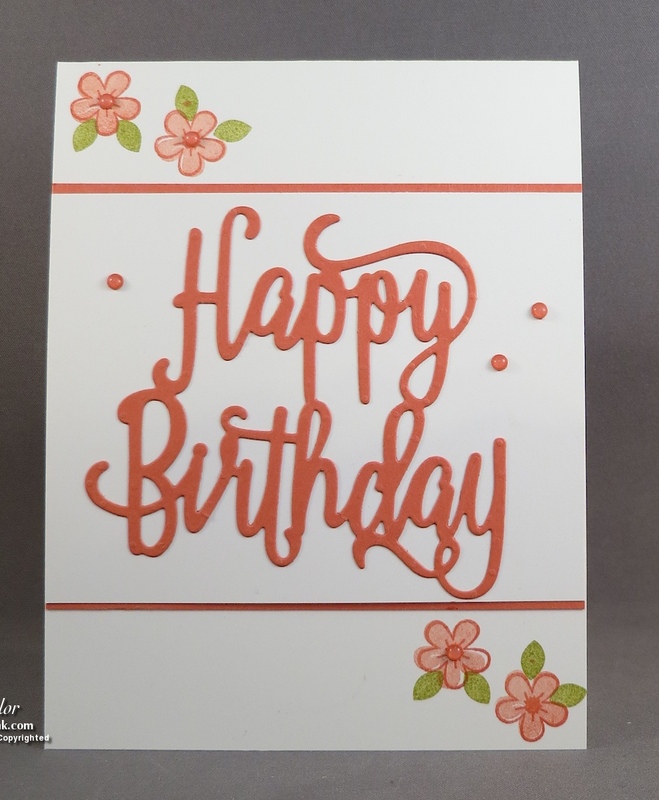 The "Happy Birthday" is a die cut that coordinates with this set and is available together as a bundle with a 10% discount when purchased together. What's difficult to see are the "enamel" shapes on the card. 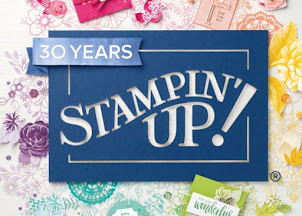 They are made with the 1/8" handheld circle punch, scrap Calyso Coral card stock and the Fine-Tip Glue pen. What a great idea using those items to make as many "enamel" shapes as you want. I'm not sure who created this idea originally, but I'm glad I learned about it. If it was you, please let me know and I'll give you credit!